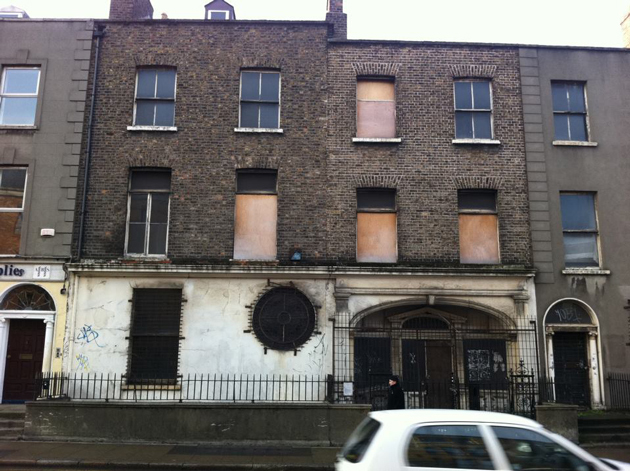 “I have been in Dublin 10 years now and have always admired the building situated at 4 Camden Street Upper. Sadly during this time it has remained empty and boarded up. 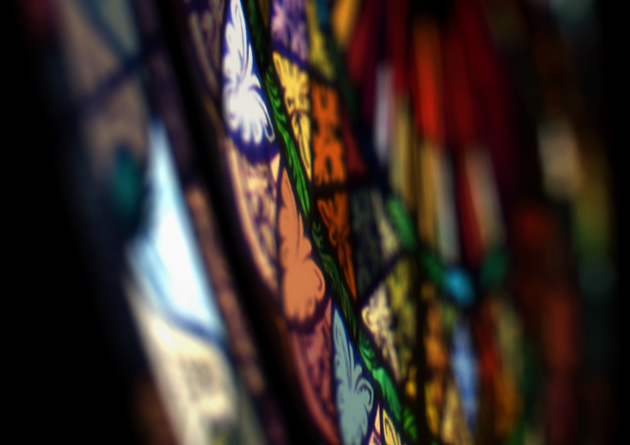 Once the workshop of Early & Co. ecclesiastical suppliers, their legacy still stands visible from the road in the circular stained-glass window. Regrettably this forgotten architectural relic is unnoticed by millions each year. Today however, to mark the winter solitice multimedia artist Ronan Coyle aims to change that and breathe life into the old dog again. He has prepared an animated & projected installation that illuminates the 1900 century stained-glass craftsmanship in a modern way.